For a year now, there has been an ongoing argument at our house. Not about finances, or who should clean up after dinner, but about stormtrooper helmets. I like the original ones. They are iconic, classic and everyone knows what they look like. The hubby likes the new ones. His first comment after he saw the teaser a year ago, was “I have to get a new helmet!” I, of course disagreed. But it is not as simple as just buying him a new helmet…. He thinks anything we make featuring a stormtrooper, should use the new helmet design. I, of course disagree. Now, you might not think one would make that many things with stormtroopers on it in a year. I, of couse, disagree. There are t-shirts, coasters, pixel patterns, Christmas cards… oops I gave that one away. Ssshhhh, don’t say anything! The good news for me is, that since I do the designs, I get my way. That bad news is that this means we have not featured any The Force Awakens Stormtroopers until now. So hubby, this one’s for you! 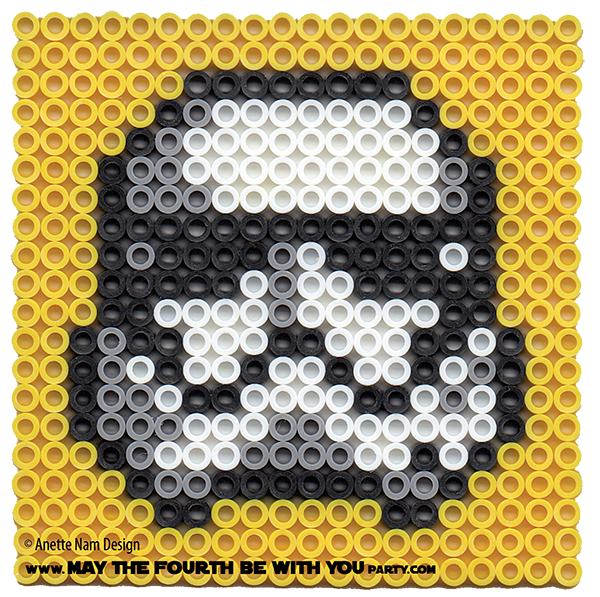 The fifth of our TFA patterns, but #34 in the Perler bead/cross-stitch/Lego/pixel/mosaic series. ← Do Movie Theaters Allow Tailgating? I’m partial to Clone Trooper helmets. I’ve got one of those coming, I promise! After I get done posting the current batch of TFA patterns, I will get back to posting my “backlog” of other Star Wars Patterns (which includes Rex/Clone Trooper). 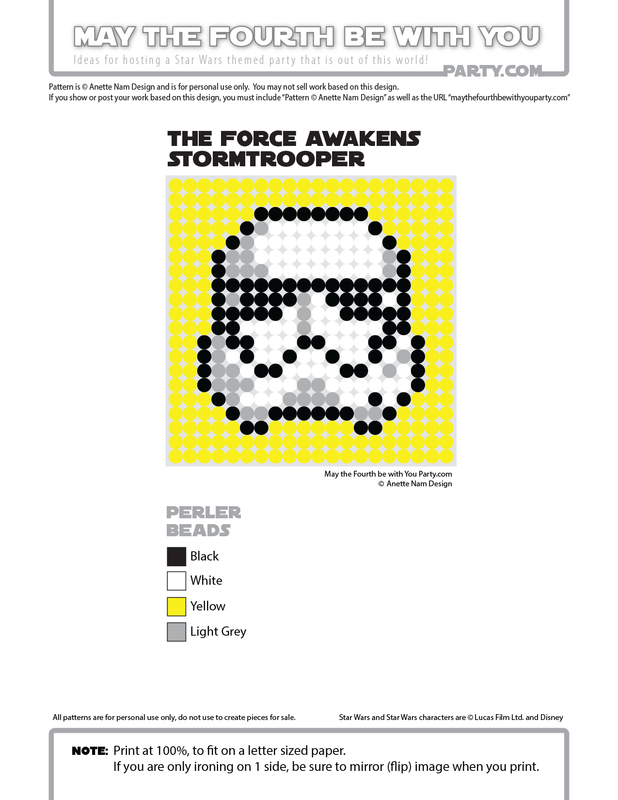 Then after that, I am looking forward to making a bunch of Rebels patterns.